The Ohio Council of local ASCE Sections was organized in 1969 to focus statewide attention on issues of interest and concern to civil engineers. There are six local sections in Ohio each having representation on the Ohio Council in proportion to its membership. Each section has at least two representatives regardless of its size. The Council meets twice annually, in spring and fall. 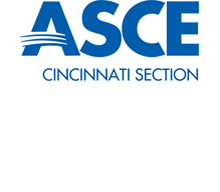 All ASCE members are welcome to attend Ohio Council meetings. Visit the Ohio Council website at: http://www.ohioasce.org/.